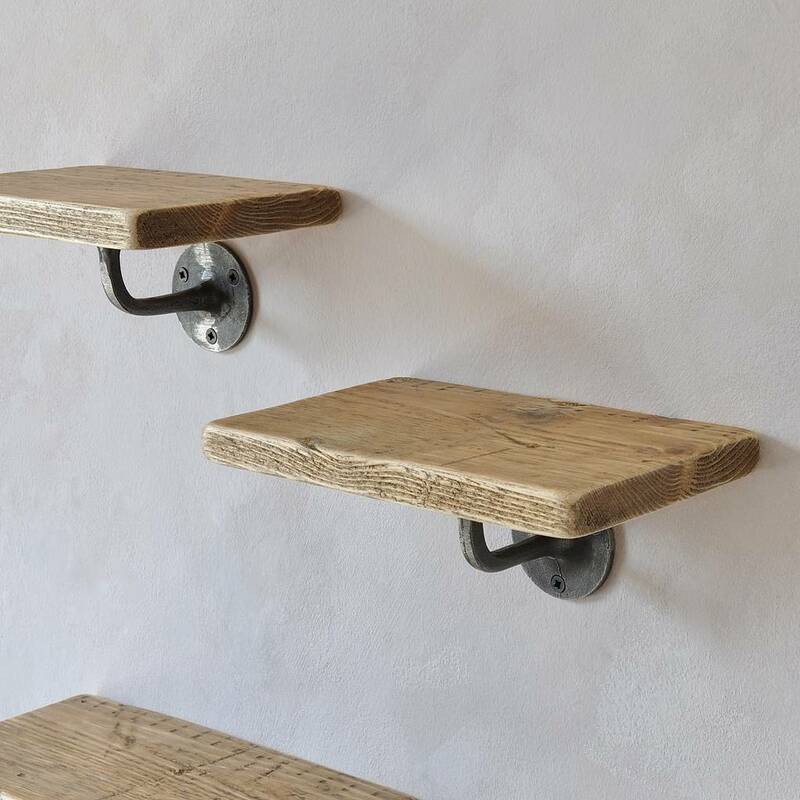 Simple, natural and elegant, these reclaimed wooden shelves with industrial style brackets, are versatile enough to work in any room of the house. Lovingly made to order in our Devon workshop. 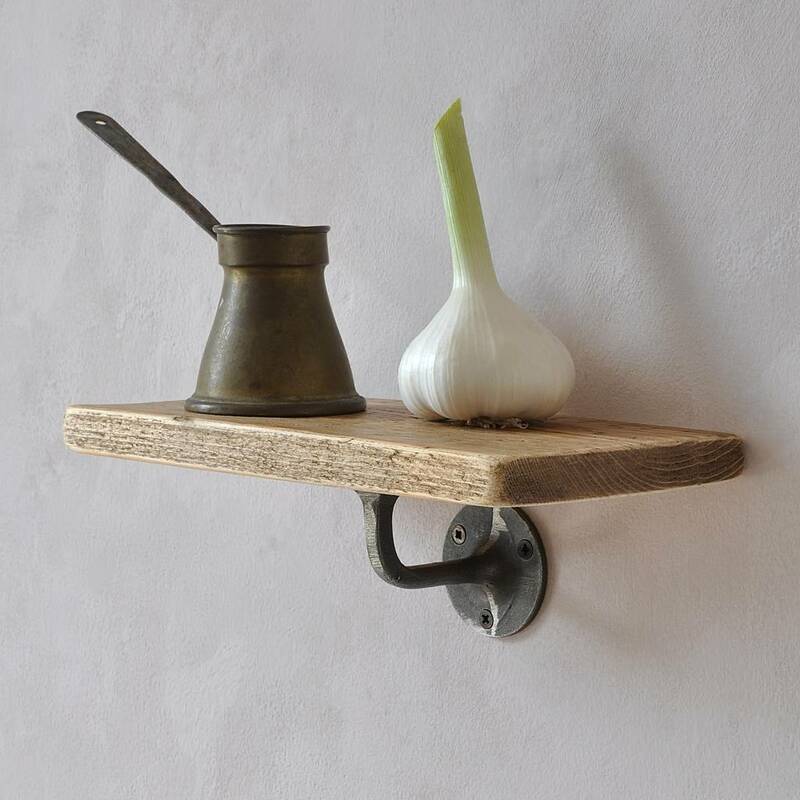 Wall fittings not included. 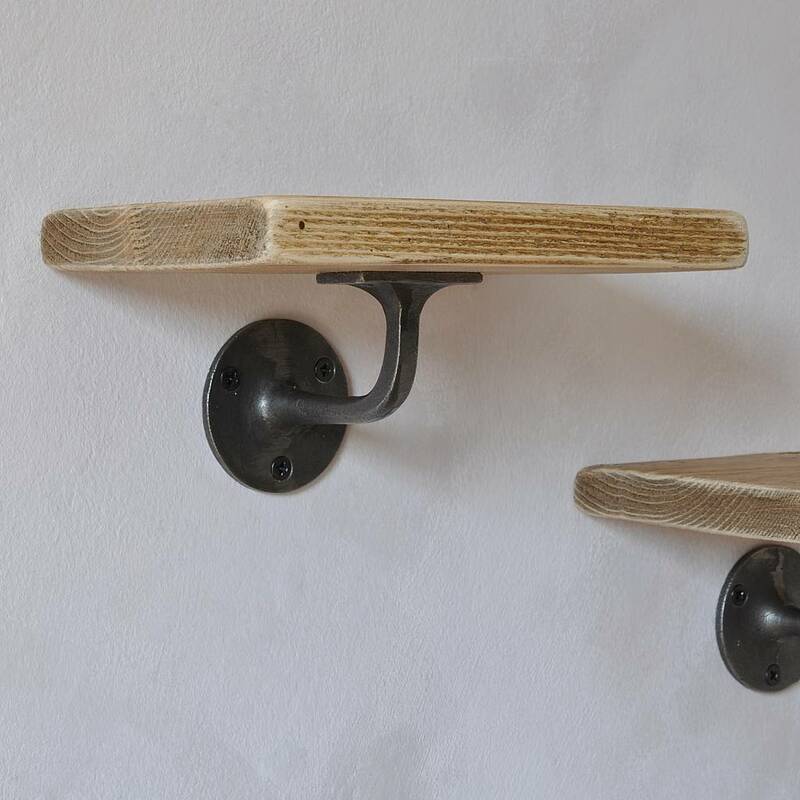 (screws) Please feel free to contact us for advise on the correct fittings for your type of wall. 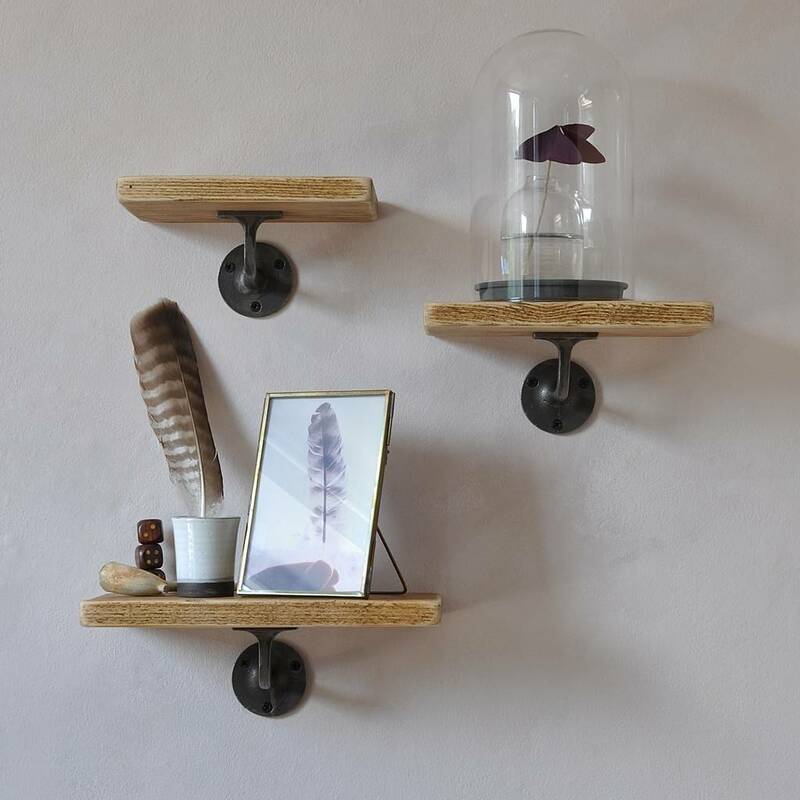 Each shelf comes fully assembled. 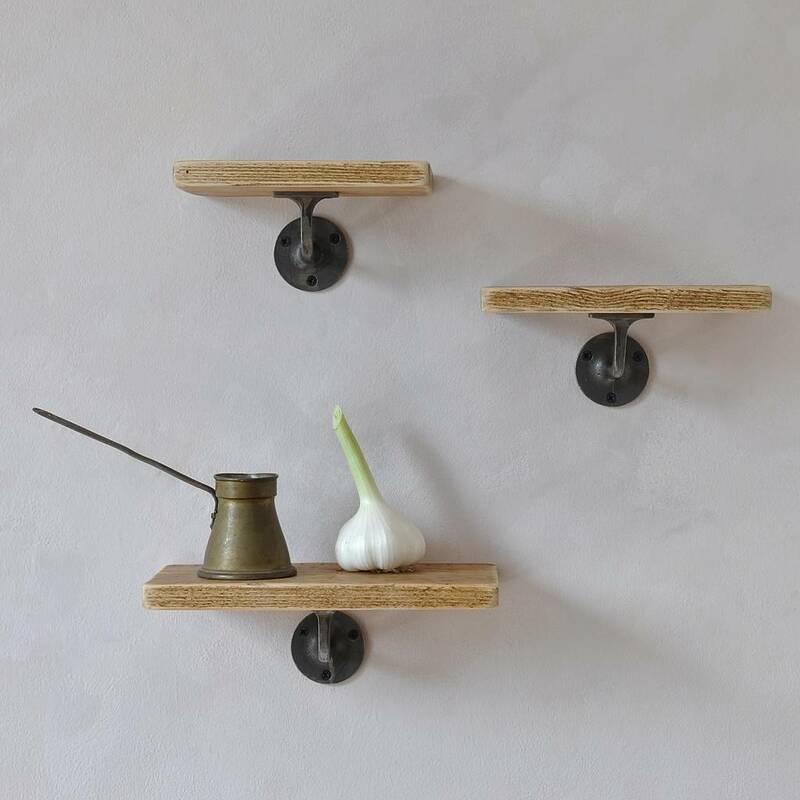 Please note due to the reclaimed nature of the wood, the shelves will contain imperfections, small cracks, and nail holes (but on occasion only) We will only select wood that will be suitable for use.